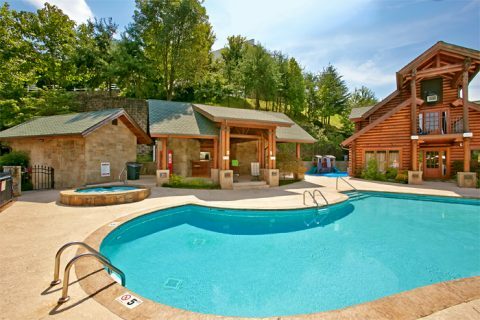 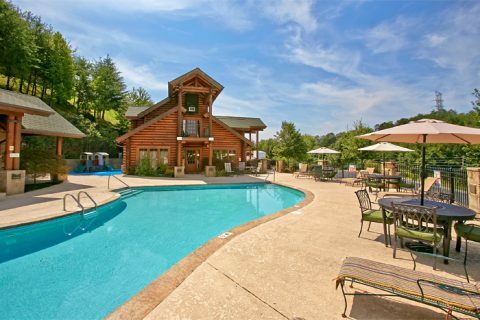 "Stairway to Heaven," a Golf View Resort Pigeon Forge cabin rental, provides guests with both outdoor and indoor resort swimming pool access as well as cabin comforts for a memorable cabin vacation. 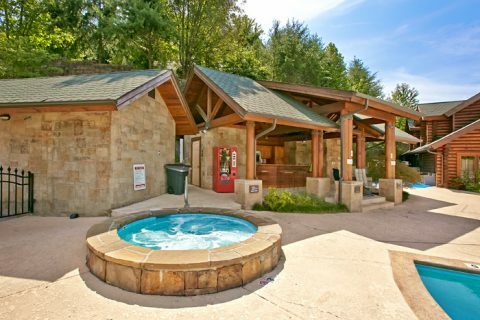 Additionally, the Gatlinburg Golf Course is next door and a trolley stop is located at the entrance of the resort. 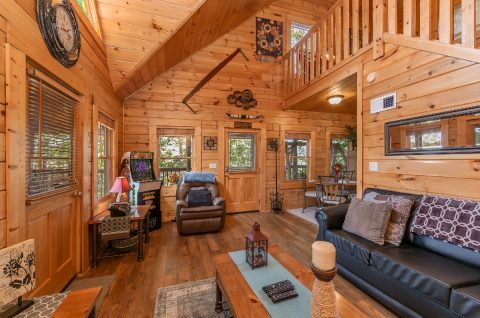 "Stairway to Heaven" cabin is the perfect accommodation for small families and honeymoon or anniversary couples looking for convenience to Pigeon Forge, Gatlinburg, and the Great Smoky Mountains National Park. 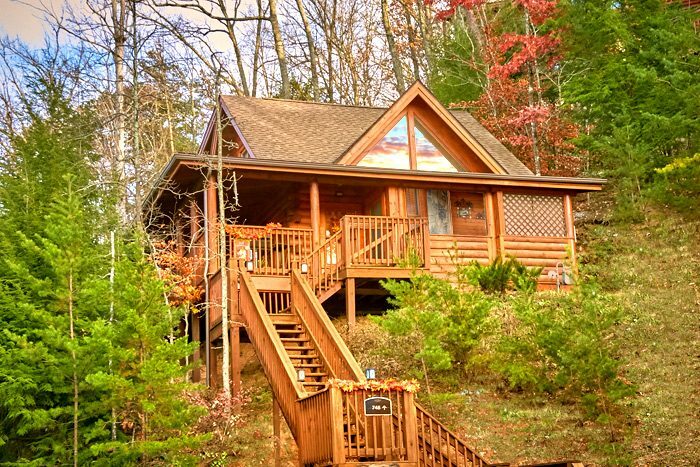 This wonderful 1-bedroom Pigeon Forge cabin rental offers guests that something extra to make their stay in the Smoky Mountains more memorable. 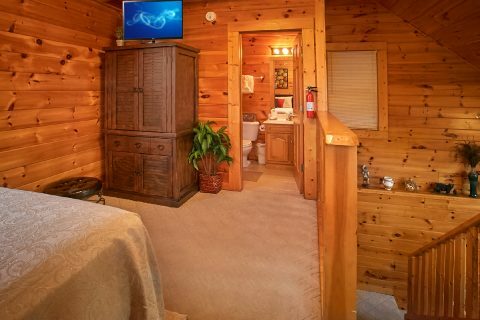 Free movies from NetFlix on the living room's 48" Smart TV and WiFi Internet offer hours of indoor entertainment. 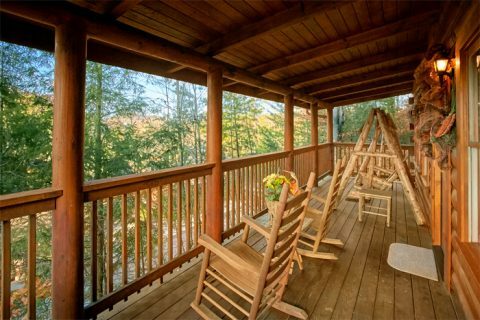 Nearby, your large porch offers you a chance to take in the mountain scenery that surrounds your cabin. 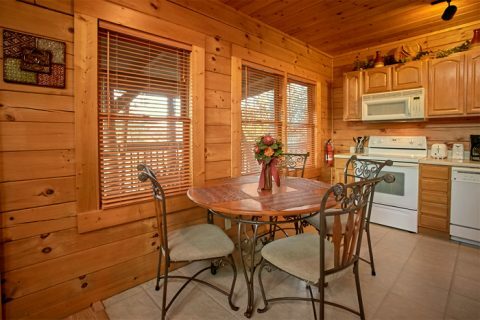 Your romantic Golf View Resort Pigeon Forge cabin rental escape offers a comfortable living room with a sleeper sofa facing the large gas fireplace with stone mantle. 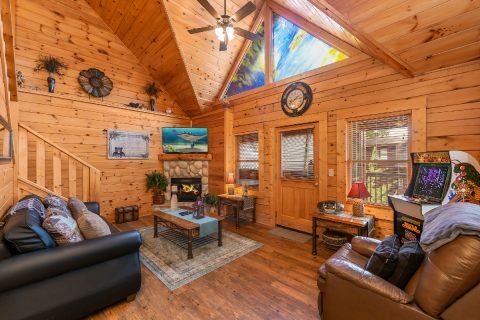 Above the fireplace, a large flat panel television invites you to enjoy a movie in front of the warm glow. 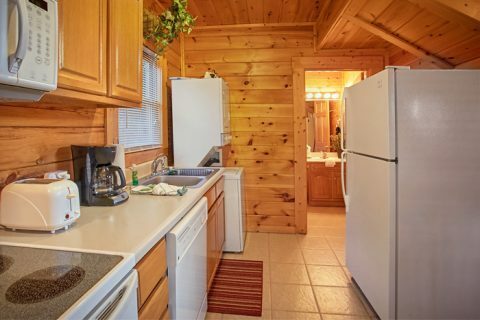 The cabin’s cozy kitchen and its gas grill allow you to prepare snacks to lavish meals available whenever you are. 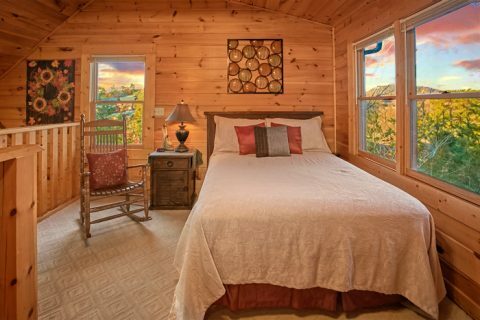 Upstairs, the relaxing loft bedroom with a queen-size bed, full bath, and television create a welcoming retreat. 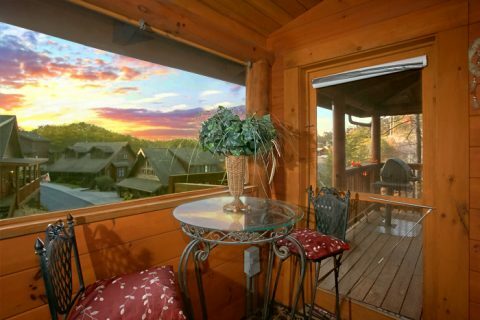 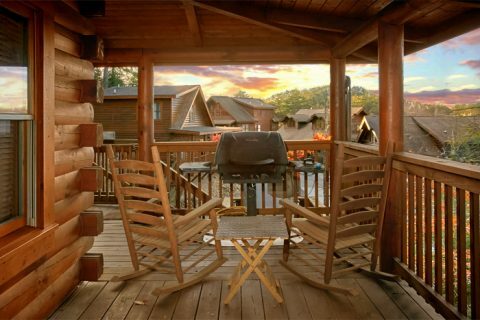 Enjoy sunsets and beautiful views of the mountains from your cabin’s front porch rocking chairs or log porch swing. 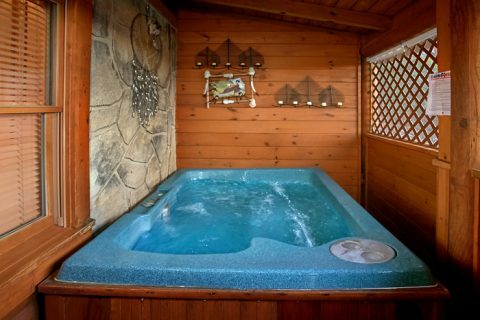 At the close of the day, you and your guests will love unwinding in the soothing waters of your hot tub on the screened in deck.